Recently, I was given a queen bedframe, which was awesome. 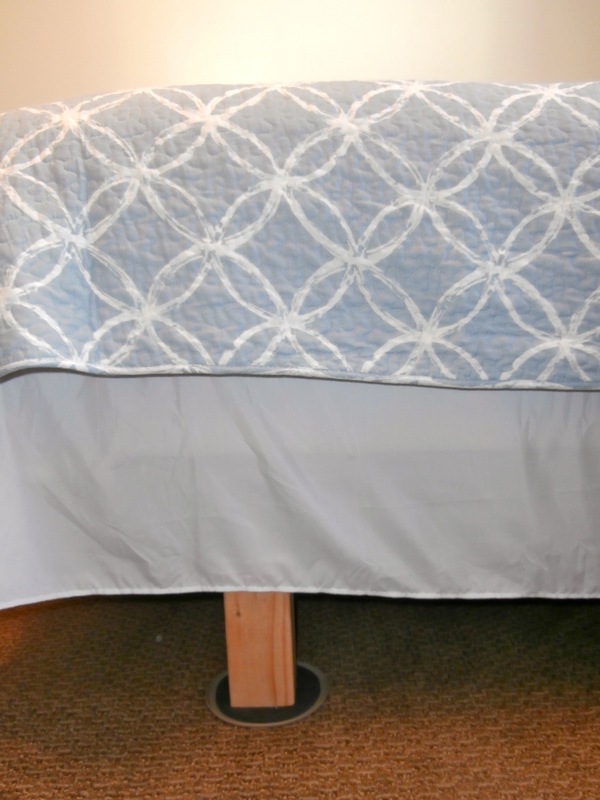 Unfortunately, the legs on the bedframe were only 5 inches tall, so there was no room to store items under the bed, I wanted to raise the bedframe so that the legs would be 12 inches tall, leaving plenty of space to slide boxes and other items underneath the bed. 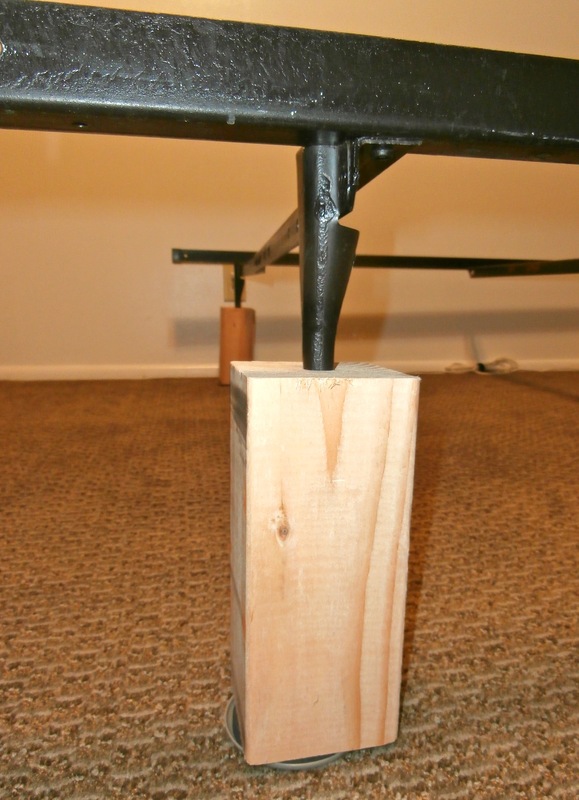 Commercially produced bed risers are available for purchase, but I found that the less expensive sets of bed risers were bulky and made of plastic and the more expensive sets of bed risers made of metal or wood were expensive and were not tall enough to raise my bedframe up to the 12 inch height I wanted. So, in the end, I ended up making my own bed risers for about 10 dollars and 2 hours of time using a power saw and an electric drill with a wood drill bit. Next, using an electric power saw, I cut 4 8-inch blocks off of my 4×4 board. 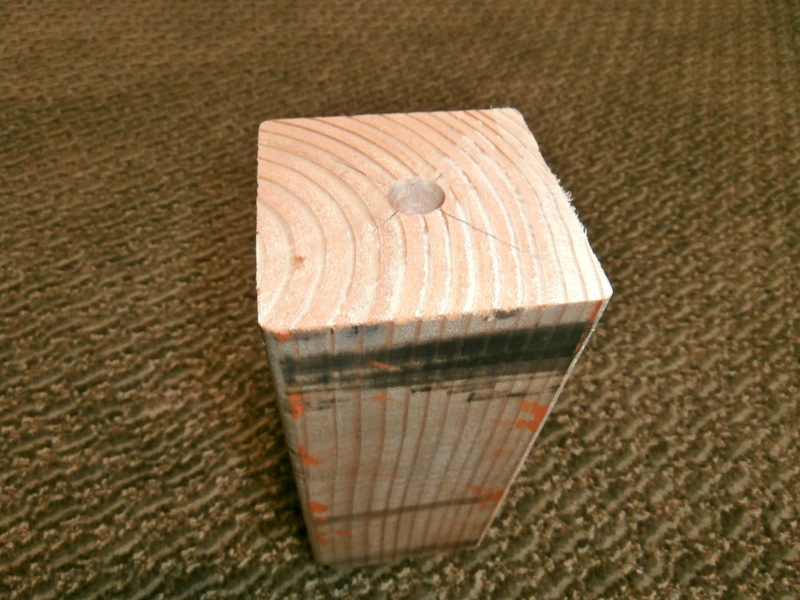 Then, I drilled a hole 1 inch deep and 5/8 of an inch in diameter into the center of the top of each block. 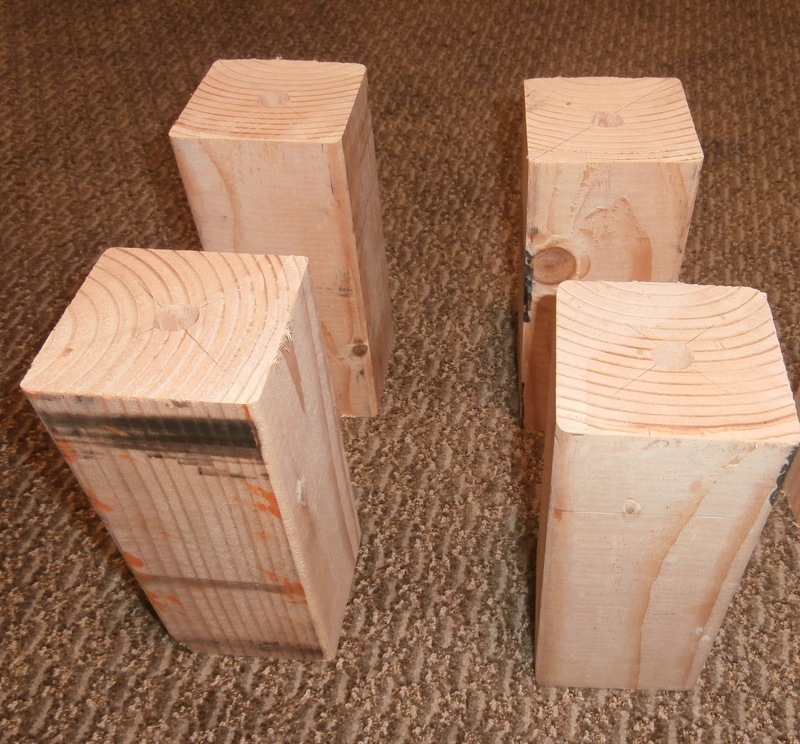 Because the diameter of each leg on my bedframe was a little less than 5/8 of an inch, I made the holes in the tops of the blocks 5/8 inches in diameter. To find the center of the top of each block, I used a ruler and pencil and drew an X from corner to corner on the top of each block. 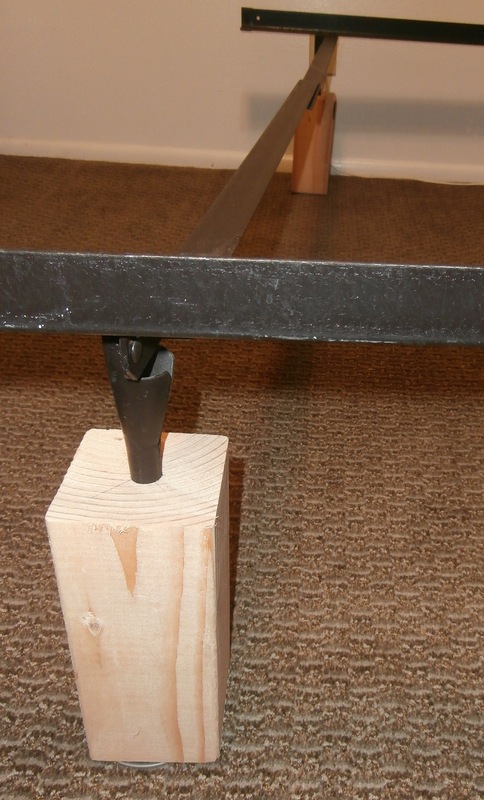 Finally, I placed a block under each leg of the bedframe and used a hammer to tap the legs of the bedframe securely into the holes in the blocks. Because I have one side of this bedframe pushed against a wall, I placed a furniture slider under each block to make it easier to move the bedframe away from the wall to change the sheets. This entry was posted in Life!, Making It Work and tagged 4x4 board, bed frame, bed risers, bedframe, DIY by tarvasalutes. Bookmark the permalink. Great idea! I love it and will try it. You are absolutely brilliant !! I’ve been looking for a solution for my bed for months. This is definitely the way I am going to go. Thank you.